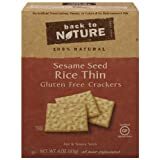 Amazon has several Back to Natural Crackers in their warehouse deals including Organic Stoneground Wheat for around $2.25/box and Gluten Free Rice Thins for $2.35/box. Warehouse Deals prices can change at any time, so act fast! 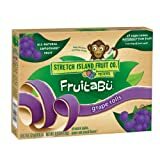 Another great warehouse deal is Stretch Island Grape Rolls for $2.34/box. A great, quick snack to take to the pool. Warehouse Deals prices can change at any time, so act fast! 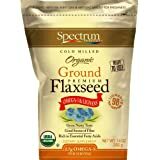 Score Spectrum Organic Ground Flaxseeds for only $4.28/bag! Flaxseeds are great to add to smoothies and baked goods for added omega-3 fatty acids. It is a Warehouse Special so the price could go any time. There are two deals on Mamasource. Score a $30 voucher for $17 to Smart Planet which features green houseware products. Voucher cannot be used for shipping ($9.95 for orders $1-$30, $7.95 for orders $31-$50 and $4.95 for orders $51-$100; US only). Deal expires tomorrow. Another Mamasource deal is a $40 voucher for $20 for Nordial Organic Bath Products. Cannot be used for shipping (ranges from $10-$12, US only). Deal expires 6/10. 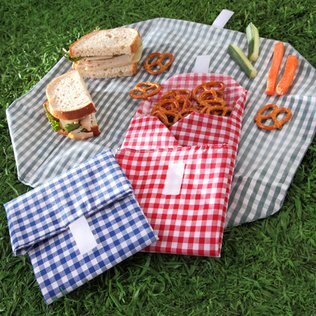 Over at Zulily, save up to 50% on Wrap-n-Mat lunch bags and on Barn Organic Clothing for girls. Score FREE shipping on any orders today after you place your initial order.Try the code: RETAILZU628 to possibly score $5 off a $50 order. It’s a new month so be sure to print off the reset Whole Foods store coupons including a coupon for Cascadian Farms which you can combine with the coupons.com coupon below! Also save on Blue Diamond Almond Breeze and Kashi Cereals. 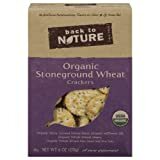 Over at Coupons.com, print off $1/off 2 Alexia Foods coupon, $1/off Seventh Generation cleaning products, 50cents/off Newman’s Own Salad Dressings, $1/off Cascadian Farms cereal and more!